Hilltop Manor, a Hot Springs Bed and Breakfast recently came to Acorn for a new design. Hilltop had been an Acorn marketing (SEO) customer for a while, but was looking for the punch of a new design combined with video, new photography and social media. 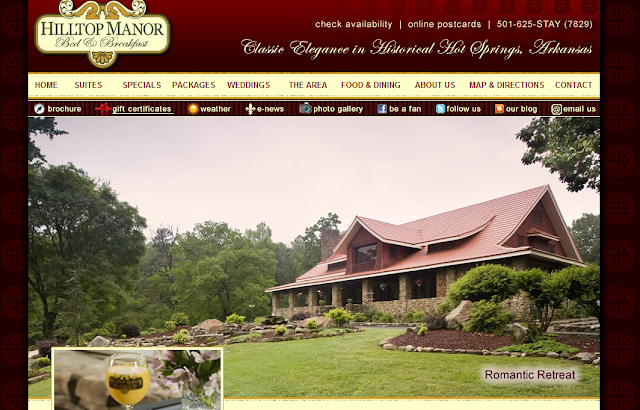 Faith Kraemer, owner of Hilltop Manor, brought wonderful ideas to the design plate, including adding videos on more than just the home page of the site and incorporating some of the colorful history of the inn into the verbiage. Please look over the rest of the site for interesting tid-bits and to view that lovely photography.